Only a fool would enter a film set without having first read this production manual. There is no faster way up the ladder than being prepared and no faster way out the door than by screwing up. 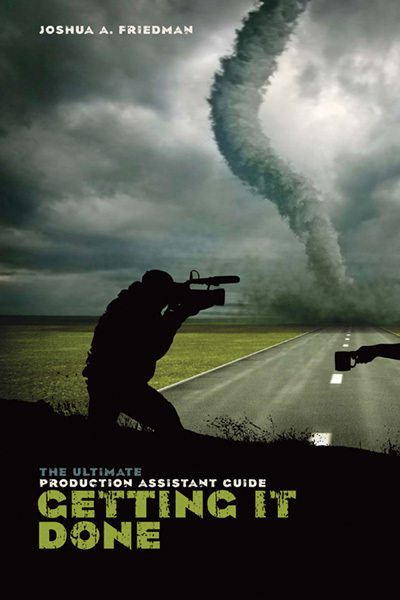 This manual was created by a working PA as a tutorial for those starting out, or a reference guide for seasoned filmmakers. 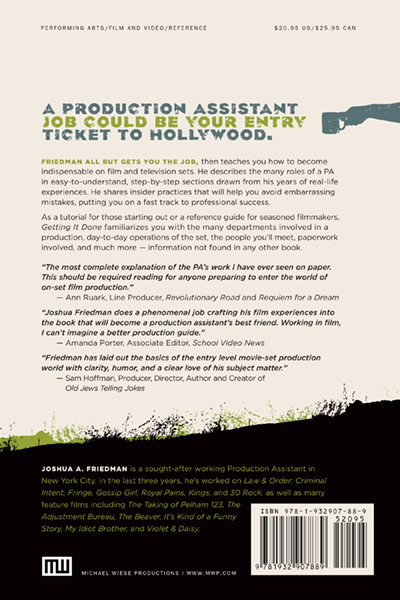 Joshua A. Friedman is a working Production Assistant in New York City. Born in Stamford, Connecticut, he moved to the state of Georgia at the age of 12 when he became interested in theatre and film working on many productions and documentaries before studying theatre at the University of Maryland. After graduating in 2005, he moved to New York City where he currently resides. Over the past three years Mr. Friedman has worked on Law & Order: Criminal Intent, Fringe, Gossip Girl. The most complete explanation of the PA’s work I have ever seen on paper. 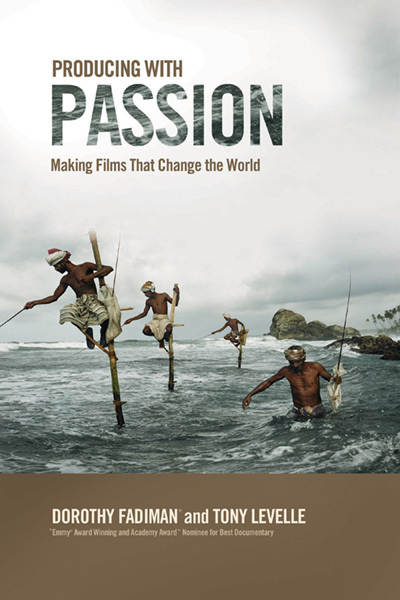 This should be required reading for anyone preparing to enter the world of on-set film production. 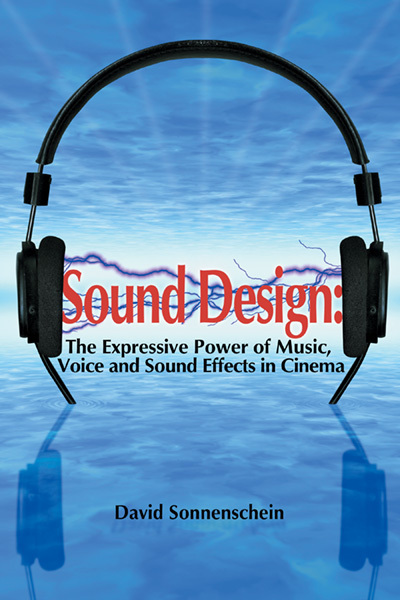 Joshua Friedman does a phenomenal job crafting his film experiences into the book that will become a production assistant’s best friend. 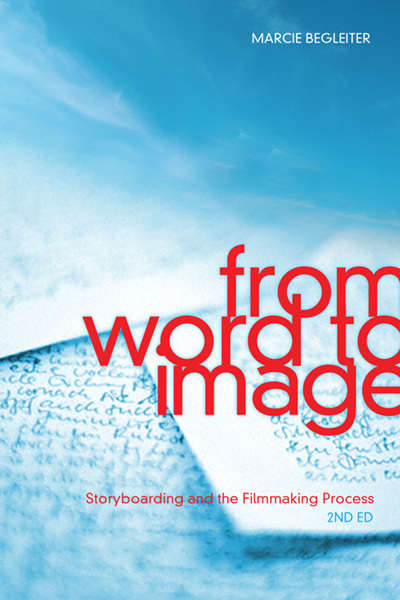 Working in film, I can’t imagine a better production guide. 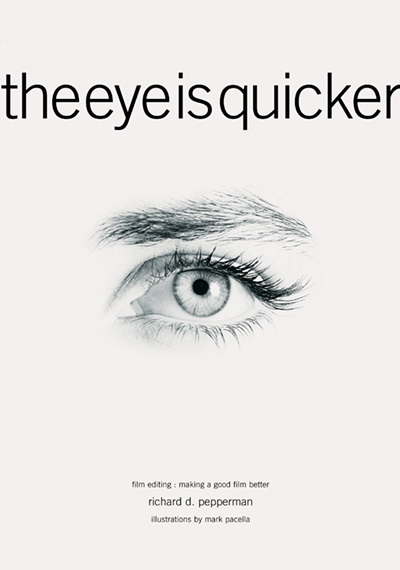 Friedman has laid out the basics of the entry level movie-set production world with clarity, humor, and a clear love of his subject matter.